Heather grew up in Gainesville, GA. She received a Bachelor of Arts degree from Clemson University and then a Master of Science degree in Occupational Therapy from the Medical College of Georgia in Augusta, GA. She has more than 4 years of experience working with children of all ages and levels of disabilities across various environments (from the home/daycare, school, and clinic setting). Heather’s passion is working with children and their families’ to help them reach their goals and dreams in becoming more independent, whether socially or physically. 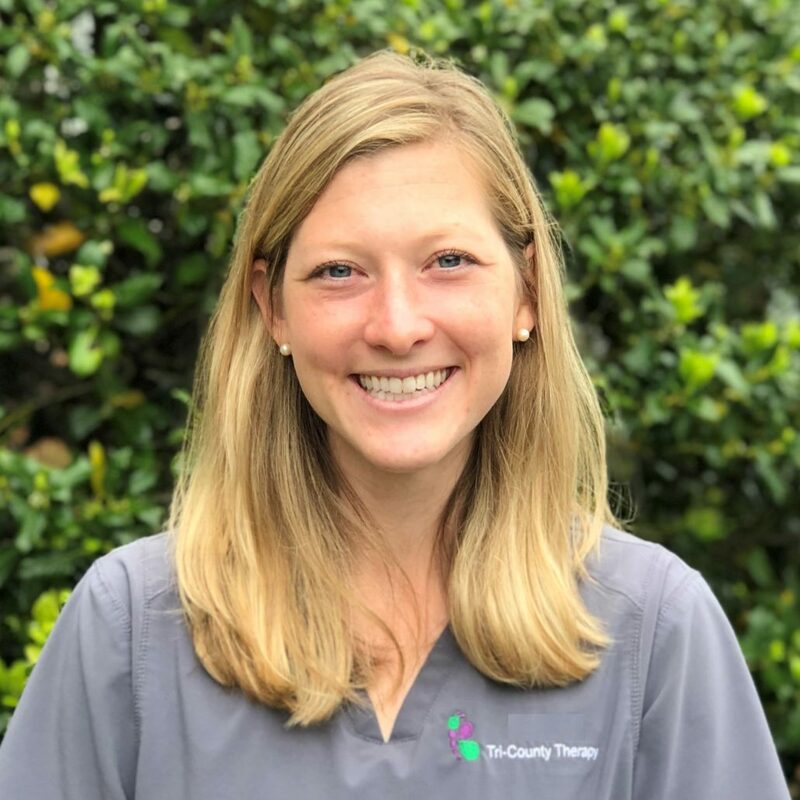 She has enjoyed combining neuromuscular and sensory approaches to helping her patients reach these goals whether in relation to feeding, social interactions, or learning to be more functionally mobile and independent within their environment. Since college, Heather has had the opportunity to live throughout the Southeast, primarily in Georgia and Tennessee but as a proud Clemson graduate could not be more excited to be back in South Carolina! In her free time, she loves running/hiking and almost anything outdoors, all types of sports, including soccer, frisbee and tennis and loves to cook and get together with friends. She admits that much of her free time these days is devoted to spoiling her 2 pups, Zoey and Millie.